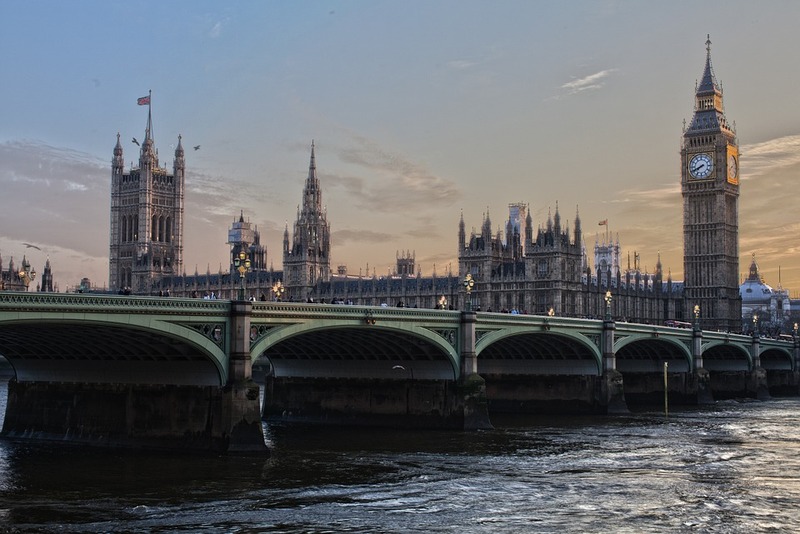 The UK government has handed over £200m to help support smaller businesses in the 2019-20 financial year as the future of European Union funding remains uncertain. The Treasury announced today that it has made the cash available to the British Business Bank, which provides loans to small companies looking to increase in size through investment and venture capital firms. Chancellor Philip Hammond suggested in the 2018 Budget that £200m could be made available “to replace access to the European Investment Fund [EIF] if needed”. The EIF is an EU agency that has been a significant source of funding for small UK businesses that struggle to get credit, but Brexit means British firms look likely to lose access to this money over the long term. The Federation of Small Businesses (FSB) today voiced concerns over the loss of EU funding. The Treasury said the money will be available from today and will cover this financial year. Further funding arrangements have yet to be made and will depend on Britain’s future relationship with the EU. Venture capital and investment firms will be able to approach the British Business Bank, a public-private partnership, to bid for the extra £200m to invest in small UK firms. As predictions have emerged of an upsurge in borrowing demand from SMEs if a ‘no deal’ Brexit occurs, owners of small businesses are being urged to fully acquaint themselves with the terms of a personal guarantee backed loan, before signing on the dotted line. Todd Davison, director of Purbeck Personal Guarantee Insurance said, “It is widely anticipated that there will be an increase in demand for loans as SMEs look to introduce additional working capital buffers in a bid to ride out any impact on business following a “no-deal” Brexit. “Additional funding to aid cash flow may help to offset downturns in trade or disruption within the supply chain. But the reality is that most commercial funding will need a Personal Guarantee and this commitment should not be taken lightly. How will the lender enforce the guarantee? Can the lender serve notice or seek payment on demand? What exactly constitutes a default? Do the terms allow for any remedy period upon default? How will your net personal assets be assessed prior to the giving of the guarantee, and is this is likely to change? Does the contract state that the lender must exhaust every other avenue before making demands on you? Have you considered the cost of obtaining personal guarantee insurance? Todd Davison concludes: “Personal Guarantees are likely to be requested by every business lender. Directors of small businesses should be clear on the terms of the guarantee, and should have contractual clarity on all eventualities. They should be as genuinely objective as they can about the financial prospects of their business and its commercial value too. It’s essential to remember that a Personal Guarantee is not a hypothetical assurance, creditors can and will enforce them. Financing a start-up can be challenging. In this post, we explore the various ways – from start-up loans to crowdfunding – in which you can go about overcoming this challenge. The world has seen unprecedented innovation in the last 30 years. By many estimates, these years account for more path-breaking, paradigm-shift-inducing inventions, innovations and ideas than the rest of the human history combined. It wouldn’t come as a surprise, then, that this culture of innovation has impacted the economy just as definitively as it has our everyday lives. The smartphones we use, the smart payments we make and the big data we routinely stand in awe of – these innovations have left few aspects of modern life untouched. Much the reason why, there has also been a remarkably noticeable upsurge in the number of people answering their entrepreneurial ‘calling’. The numbers are telling in this regard. In the last five years, the business registration rate has steadily increased despite all the uncertainties around the impending Brexit. If your start-up is among these, it’s quite likely that you are looking for better ways than putting your life savings at stake to raise enough capital. Choosing a right set of financing options is of utmost importance for any commercial activity. For start-ups, however, this becomes an even more sensitive proposition. Unfortunately, many promising start-ups pay the price for indecisiveness, inaction and incorrect decision-making. We have seen that the start-up culture is booming in the UK – but there’s always a downside to every argument. The statistics released by the ONS suggest that 48% of new businesses do not survive their first four years of trading. In 40% of such cases, financing problems is the major reason. By weighing the start-up financing options discussed below, you can avoid your start-up from meeting this grim fate. When it comes to funding start-ups in the UK, start-up loans should be the first option you explore. In the last few years, start-ups have managed to instil a good deal of confidence among lenders. More and more private lenders and banks have started looking at start-ups as huge opportunities, and not mindless, risk-filled adventures. This pattern means that getting a start-up loan is the most affordable and convenient funding option for start-ups across industries. What is a Start-up Loan? Start-up loans, even though granted exclusively to start-up businesses, are more like personal loans than commercial loans. This is primarily due to the fact that start-ups don’t have any history of trading to refer to. In most cases, start-ups are founded by a small group of partners and have no history of business credit for the lenders to go by, either. In essence, a start-up loan is a small, unsecured loan that hinges entirely on the viability of the business model and the personal credit history of the proprietor or the partners. With one or more start-up loans, you can expect to raise capital up to £25,000. Start-ups, unlike established businesses, have very specific needs, and start-up loans address these needs better than any other financing alternative. Start-up loans are much easier to secure when have a good-enough business plan and a blemish-free credit report. Start-up loans are processed just as quickly as personal loans. This saves you precious time and resources that can be directed towards a successful launch. Most lenders offer unsecured start-up loans, once they are convinced of your repayment potential. For higher loan amounts, some collateral may be required to offset the risk taken by the lender. This is one feature few other start-up financing options can offer. If you receive a start-up loan offer from an experienced lender specialising in your industry of operation, it can add immense passive value to your business. How to Get a Start-up a Loan? Although most mainstream lenders offer start-up loans, the eligibility criteria and repayment schedules differ wildly from one lender to another. The easiest and fastest way of securing a start-up loan that is tailored to meet your needs is to have a reputed broker like Commercial Finance Broker on your side. Whole of market brokers can approach UK-wide lenders on your behalf, increasing your chances of getting affordable and customised start-up loan quotes. If you are familiar with the start-up culture in the UK, you’ve probably heard of government grants. Even though relying solely on government grants to finance your start-up is impractical, it’s equally unwise to dismiss this option altogether. What is a Government Grant? A government grant is essentially a reward granted to various businesses and charitable organisations under various schemes and from various public funds. The primary motive behind the establishment and distribution of government grants is to incentivise innovation, foster entrepreneurship and, in turn, create more employment in various business sectors. Depending upon the objectives of the grant, your start-up can receive upfront cash rewards, tax incentives, equipment support, technical support and no-interest/low-interest loans. UK start-ups can receive grants from the local authorities, the UK Government and the European Union. This is the most popular type of government grant available for start-ups and young businesses. When you apply for a direct grant, most schemes and trusts will require you to match the grant reward 1:1. In other words, you can expect to raise up to 50% of the required capital using the grant, while the rest will need to be raised through private funding. Soft loans or subsidised loans aim to strike a balance between direct grants and private or peer-to-peer start-up loans. These loans, available as government grants, are subsidised with public funds so that cash-strapped start-ups can afford them. The interest rates (4 to 6% p.a.) are much lower than other loan alternatives. The repayment terms are lenient and generous. This is a lesser-used but extremely powerful government grant. Through such schemes, the government promotes investments in start-ups by offering up to 50% rebates in the income tax for the investors. The rebate percentage depends upon the size of the business and the business sector. Income tax rebate up to £100,000 can be claimed. Applying for and winning a government grant is often a time-consuming process. If your start-up requires an urgent finance package, grants may not always be useful. The competition is fierce. In recent years, it has become nearly impossible to win government grants in business sectors that do not have a direct impact on the socio-economic policies of the government. Even if you manage to win a government grant, you will still be required to secure an external loan to raise enough capital. The application process is, in itself, a bottleneck. The slow processing times and ambiguous terms mean that you will need to prepare an extremely thoughtful grant application to qualify. If you want to win a government grant for your start-up, a proven and systematic approach must be adopted. Many start-ups choose to send applications to any and every grant scheme that comes up. This approach usually results into a great deal of wasted time and resources. Instead, you should aim to apply for grants that have specific objectives relating to your business sector. It’s always advisable to have a clear communication with the grant body if any of its objectives or terms are unclear. This will help you understand whether you should invest your resources into preparing a grant application. Remember – dozens, if not hundreds, of businesses will be competing against you to win the grant in question. Preparing an outstanding grant application will improve your chances significantly. Your grant application should be able to convey how your start-up aligns well with the grant objectives. You will need a great business plan to bolster your grant application. In the business plan, emphasise the aspects of your business that directly concern the grant objectives. Additionally, you will be required to furnish any external funding commitments you may have received – especially if you are applying for a direct grant. Dozens of new start-up grants are introduced each month. It’s widely believed that the early-bird applications have a higher chance of winning government grants. The definitive list of available grants can be found at the Business Finance Support Portal launched by the UK Government. If there’s one thing that has added an extra touch of glamour to the very idea of entrepreneurship, it’s the awe-inspiring risk appetite shown by external investors. The stories of start-ups receiving outlandish investment deals regularly make the rounds in start-up circles – and not without their reasons. Crowdfunding is an effective way of raising small sums of money, especially for consumer-facing start-ups. It’s all about letting numerous people contribute in their personal capacities in exchange for a stake in your business. Crowdfunding is a good way to raise money in order to address specific business objectives such as: fuelling research, manufacturing prototypes, financing marketing campaigns and entering new markets. Is Your Start-up the Next Big Thing? We’d Love to Hear from You! There’s something innately attractive about dreaming of an idea, working hard to bring its seed to life and watching it grow into something significant. The unfortunate reality is that many such dreams are routinely cut short for the want of more funding. 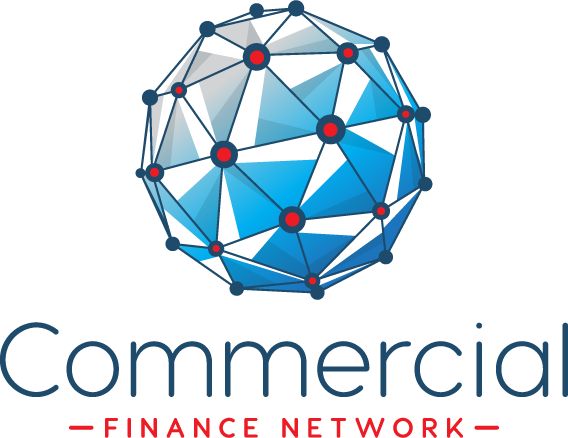 At Commercial Finance Network, we’ve been living the entrepreneurial dream – with all its highs and lows – for over a decade. With the help of our UK-wide panel of specialist lenders, we’ve helped numerous start-ups overcome their financing problems. Customised to the highest degree, the start-up loans we broker are more than just loans – they are what the ambitious start-ups of today need to turn the corner and scale newer, higher peaks of success. Don’t let the funding shortfall stifle your start-up even before it takes off. Call us on 03303 112 646 or fill in our contact form to request a free start-up loan quote. Looking to get an SME loan? Avoid these common mistakes to immensely improve your chances! Taking the entrepreneurial leap of faith might well turn out to be the most rewarding thing in your life. The sheer joy of seeing a plan, a concept – a dream, indeed – materialise is indescribable. But to get there, you’ll first need to take off the rose-tinted glasses. The world of business is ruthless beyond measure. No industry, no sector, no niche is devoid of competition. Therefore, your business – like every other business – will need to withstand this competition day and night in order to survive, thrive and, eventually, succeed. And this process invariably involves scaling up your business – a point at which drawing strength from your personal savings or seeking help from friends or family just isn’t enough. This is when you, as an SME, are most likely to seek external funding and financing. This, also, is when you have every chance of seeing multiple business loan applications turned down. How does a young SME go about securing a business loan that’s both substantial and fair? That’s a question that needs to be discussed in multiple blogs. For now, we will take a look at the steps that you can take to give your business the best chance of getting business loans. Before that, however, it will be more prudent to understand how the lenders perceive SMEs. The lending landscape is fast changing. Open Banking will make getting business loans less difficult for SMEs. Banks’ isn’t the only voice that matters. Asset finance, general business loans, equity finance & most other commercial SME loans have grown in size since 2015. As many as 7 in 10 small-business loan applications were approved by lenders in 2017-18. 62% of all SME finance applications in 2017-18 stated business growth as the principal reason for the loan. Regardless of the narrative or the wider picture, it’s safe to say that the lenders have always dictated the terms of the commercial finance game. They have had the absolute right – at times, an unfair proposition – to accept, modify or reject business loan applications from SMEs as they see fit. While this isn’t likely to change anytime soon, there are definitely some levellers being introduced by the government to make the playing field more even. The first amongst this is the rather dramatic arrival of Open Banking (better known as PSD2 across mainland Europe) earlier this year. This purported game changer will not have as much of an impact on everyday banking as most thought. The lending game, however, has been forever changed since its introduction. Thanks to the absolute customer-side control of finance data, your business can now request – nay, compel – big banks in the UK to share your 12-month financials, credit history and other data with private, P2P or overseas lenders. While such data sharing isn’t a new concept, the edge lies in the fact that Open Banking will let the borrower have more control over their data. What this means, essentially, is that getting your SME finance-ready will be much, much easier now than it was five years ago. The lenders will be able to make better, more informed lending decision based on this data – just about as seamlessly as personal loan or credit card applications work. This development is in perfect alignment with the Small Business Enterprise and Employment Act of 2015 that had made it mandatory for banks and institutionalised lenders to share finance data with alternate credit partners for SME loans. The fact of the matter is – if you run an SME in the UK, you have a great chance of securing a business loan today than ever before. What Does It Take for an SME to Get a Business Loan in the UK? The borrower should be a registered business entity (Sole Trader, LC, LLP or PLC). The business should have a ‘demonstrable’ trading history of 18-24 months. The director(s), owner(s) or proprietor(s) should be able to furnish personal guarantees if required. The business financials should be able to demonstrate a certain minimum turnover (subject to the amount of the loan). Despite the lending atmosphere that’s gaining in positivity as far as SMEs are concerned, quite a few business loans are still routinely declined. In this light, it’s important to understand the common reasons why small-business loan applications fail to get approved. This will help you eliminate a major hurdle in getting finance for your business. Countless SME loan applications fail to pass the very first check that banks perform – the credit check. What’s more astounding is the fact that many SME owners aren’t even aware of the credit trail they leave while their business is trading. It’s a vicious cycle but that’s how it is. Most businesses apply for loans when there’s a cash crisis. And lenders don’t like such situations. This Catch-22 is perhaps the biggest hurdles SMEs face in getting approved for a business loan. Along with cashflow problems, other problems such as a questionable business plan, a history of poor business decisions, lack of expertise at the helm and inability to prove the growth potential often lead to loan applications being turned down. You cannot apply for a regular SME business loan if your business is just starting up. Most lenders will want to see a trading history of no less than 2 full years. Similarly, if you’re applying for a business loan and your business has been trading for 20 years with little to show for it in terms of growth, the lenders won’t take a liking to your application. Unsecured business loans attract closer scrutiny from lenders. So, for an SME that doesn’t have a great deal of creditworthiness, it becomes imperative to provide additional security. Business loan applications that aren’t backed by adequate collateral or guarantees usually get declined. Just like personal loans and mortgages, you cannot expect to get a business loan for your SME if you already have a number of repayments to take care of. A business loan application from an SME dealing with a plate full of loans is almost certain to get rejected, leading to a soft credit enquiry mark that further worsens the situation. There’s no telling what the lender will think of your business loan application. Perception is a strong phenomenon and is still relevant despite much of the work being handled by tried-and-tested credit algorithms. You can, however, take the following steps to make sure that your application stands a very good chance of finding takers. You want the foundation of your business to be sound, strong and stable. This is vital not just to secure a business loan but also to achieve profitability in the long run. When you know that your business has a great shot at success, you should be able to convince other people of the same. To convince lenders, you will need a great business plan – especially when your business is relatively new. A good business plan should be accompanied by a cause-and-action plan. This will involve a good explanation of why your business needs a loan, how you plan on using the funds and what your repayment schedule will be like. A fully customised proposal with all the relevant details shows the lender that you’re serious about the business. This always works in your favour as lenders perceive you as less of a risk and more of an opportunity. Many businesses get this wrong – but you shouldn’t. Never apply for a business loan if you don’t have an independently audited, tax-certified financials for at least two years in your possession. These financials typically include the tax returns, quarterly balance sheets, cashflow analysis and profit/loss statement. It’s common for lenders to also request projections over the loan term. So, it’s a good idea to prepare revenue, profit/loss and assets/liabilities projections for up to 5 years before you approach a lender. Regardless of everything else, most lenders will eventually take a look at the credit history of your business before making a decision. Any obvious red flags on this report – from delayed payments and missing records to frequent enquiries and grave defaults – will hurt your application. So, it’s important to know and understand your credit scores before you apply. This includes building a solid credit history for your business as well as personal accounts. Less than 20% of all SMEs in the UK proactively monitor and assess their credit scores – you don’t want to be a part of that group! A commonly ignored and often decisive mistake is the failure to demonstrate your involvement in your business. Many businesses – especially the ones not registered as Sole Traders – face this problem, just because there’s no ‘face’ attached to the business. An easy way to avoid this is to make an offer for a collateral. This shows the lenders that you are willing to share the risk with them. Secured loans are always easier to go through. 5. The Time and Timing – Both Should Be on Your Side! As a rule of thumb, you shouldn’t go searching for a business loan when your business finds itself cornered with nowhere to go. This will only lead to you ruining your credit history with multiple rejections. Having enough time at your disposal is the key. This is where good business intuition and experience will come in handy for you. As far as getting the timing right goes, you should be well aware of the market situations before applying for a loan. Has the industry your business operates in been faring poorly of late? Have there been any major changes in the lending landscape recently? What has been the trend in the interest rates being offered over the last six months? Answers to such questions will give you an idea about whether you should apply for a loan right away or it’ll be wiser to wait for a few weeks. Many loan applicants think that lenders are prone to making arbitrary decisions. While true in rare scenarios, this usually isn’t the case. The lenders are also in the business – the business of lending money. The more businesses they lend to, the more money they end up making. So, as long as you have taken care of the ‘risk’ factors discussed in this article, you will have little to worry about when you apply for an SME loan. Applying Left, Right & Centre – A Big No! The biggest – and unfortunately, the most common – mistake that SMEs make is to apply for credit with no plan of action. Applying at a dozen places will not only lead to simultaneous rejections that will do your credit score no good but also handicap your business from accessing finance when you need it the most. Before applying for any business loan, you should be aware of what your options are – without making hard credit enquiries. That is exactly what we at Commercial Finance Network, a leading whole of market broker, do for you. Working with some of the best-known and specialist lenders across the UK, we make sure that you get a loan offer that’s fair, fast and flexible. The days of blindly accepting the first offer that comes your way are long gone. Let our team of experts curate the best business loan quotes for you. Call us on 03303 112 646 or contact us to speak with one of our Business Loan Specialists today! LONDON (Reuters) – Britain’s alternative finance market grew by 43 percent in 2016, research showed on Friday, with interest from start-ups, small businesses and institutional investors helping to boost demand for services such as crowdfunding and peer-to-peer lending. Last year, 4.6 billion pounds ($6.2 billion) was raised through alternative channels, up from 3.2 billion pounds in 2015, according to a survey of 8,300 investors and 77 crowdfunding or peer-to-peer platforms. “Alternative finance has entered the mainstream and is likely here to stay,” said Byran Zhang, executive director of the Cambridge Centre for Alternative Finance (CCAF) at the university’s Judge Business School, which conducted the survey. Approximately 72 percent of the year’s market volume, or 3.3 billion pounds, was driven by demand from start-ups and small businesses. That was up from 50 percent the year before. Peer-to-peer business lending was the largest market segment in 2016, growing by 36 percent to 1.23 billion pounds, providing an equivalent of 15 percent of all new loans lent to small businesses by UK banks. Major banks reined in their lending in the wake of the financial crisis, and many small businesses complain of poor treatment and difficulty accessing funds. 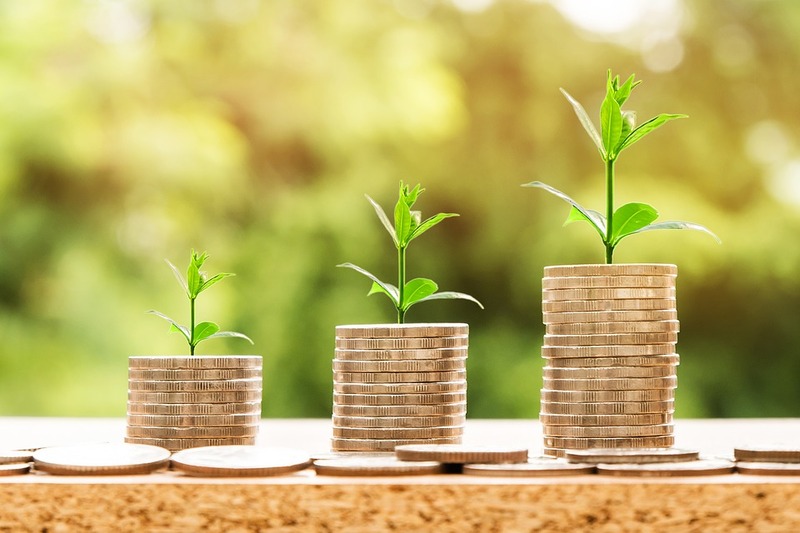 Several alternative finance providers have sprung up to try to fill the gap, such as peer-to-peer lender Funding Circle, which announced this week it had lent more than 3 billion pounds to almost 40,000 businesses since its launch in 2010. Another, MarketInvoice, offers peer-to-peer loans secured against businesses’ invoices and has lent 1.7 billion pounds since 2011. After peer-to-peer business lending, the biggest categories were peer-to-peer consumer lending, peer-to-peer property lending, invoice trading, equity-based crowdfunding, real-estate crowdfunding and reward-based crowdfunding. Institutional investors including pension funds, asset managers and banks were also increasingly backing the platforms, the survey showed. Funding from these sources accounted for 34 percent of peer-to-peer property lending, 28 percent of peer-to-peer business lending and 32 percent of peer-to-peer consumer lending. Peer-to-peer lending can offer relatively high returns. Funding Circle, for example, currently boasts an all-time average annual return of 6.6 percent. But the sector’s fast growth has also caught the attention of the Financial Conduct Authority, which is looking at introducing new regulation for the sector, highlighting concerns about past loan losses and due diligence. This week, peer-to-peer lender RateSetter, the UK’s third-largest, reported a pretax loss of 23.7 million pounds after it took a hit from a bad loan.